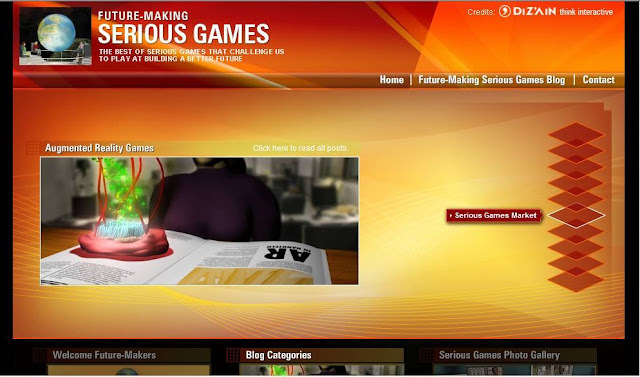 FUTURE-MAKING SERIOUS GAMES has launched a "dot com" website at http://futuremakingseriousgames.com/. FUTURE-MAKING SERIOUS GAMES explores how entertainment and games can be used for building a better future. At FUTURE-MAKING SERIOUS GAMES “The BLOG” we have created an overview of what is going on in this field, digging the best of Serious Games promising market. 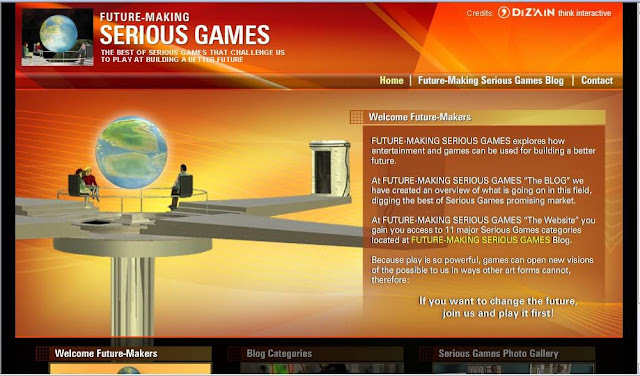 At FUTURE-MAKING SERIOUS GAMES “The Website” you gain access to 11 major Serious Games categories located at FUTURE-MAKING SERIOUS GAMES Blog. 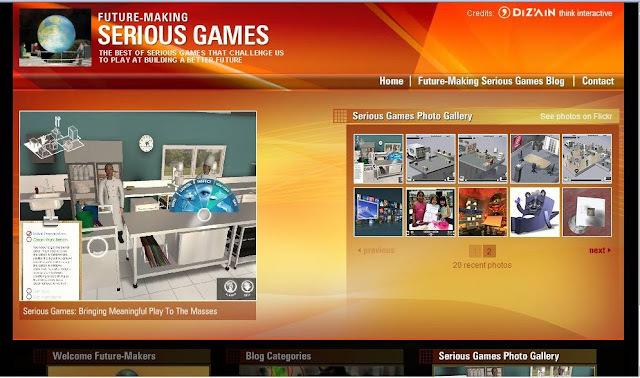 FUTURE-MAKING SERIOUS GAMES Website shall grow as future unfolds. If you want to change the future, join us and play it first!